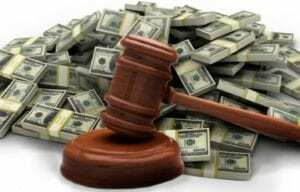 Litigation Funding, Litigation Financing With Verum Funding! Litigation funding is complicated enough without having to worry about the underlying finances. Without litigation financing, pressure could mount to prematurely settle or voluntarily dismiss your case which may prevent optimal results. At Verum Funding, we have relationships with a number of well-established litigation funding lenders operating in North America. One of major difficulties faced by any claimant (personal or corporate) who needs litigation financing is that they commonly have insufficient resources to even prepare their cases to a point suitable for assessment by a funder. This is particularly so with liquidators and trustees in bankruptcy who are appointed to asset less administrations with good potential legal actions but no funds available immediately to cover the expense of a legal assessment and basic case evaluation. 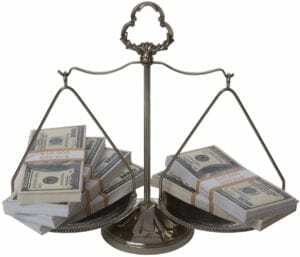 In this situation good claims are not being pursued because of the initial expense required to determine whether or not an action is eligible for litigation funding, and if suitable, which of the litigation funders is the best to approach according to their own funding criteria and case interest. Verum Funding is committed to assisting claimants to properly assess whether their legal actions qualify for litigation funding. We can help claimants with good commercial cases secure funding to best enable them to go forward securing as well as assisting the various litigation funders in making a determination on litigation funding and providing the approved funds. In many instances we are able at first consultation to provide feedback on whether an action is suitable for litigation funding assistance or not. At the end of this preliminary assessment process we can advise on the steps needed to be taken to secure funding. This service is also relevant to legal actions that are underway and need additional funding to go to trial in the case of defended actions. There is no doubt that high cost of litigation is a barrier to securing justice and enabling good claims to be vigorously pursued to judgment or settlement. Litigation financing is a funding product now available in the United States to facilitate these outcomes. However, good case assessment and selection is a key factor. Verum Funding has the necessary case selection skills and experience, and close relationships with leading litigation funders operating in the United States and overseas, to assist and add value to this process. How Can You Get Litigation Financing Today? You can get the litigation financing today that you need by contact us by email, submission or calling 434-535-5229 to discuss the attributes of any legal action you want to proceed with but do not have sufficient funds and you need a third party to cover the legal costs required to investigate whether the claim can be prosecuted.